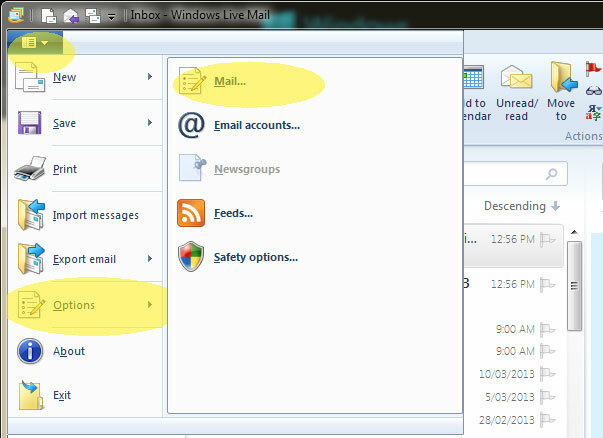 Simply follow the steps below to have it set-up in Yahoo Mail within minutes.Download the html file. 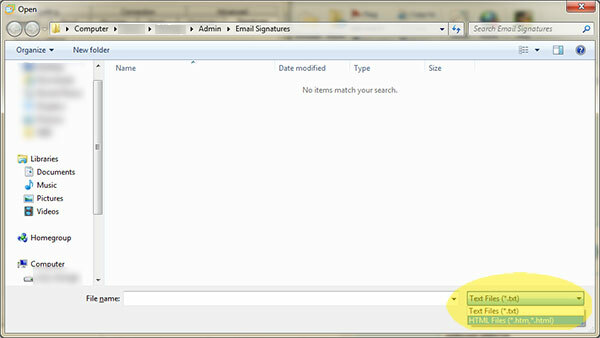 Step 2: When the Options box opens, click on the Signature tab at the far right. On the Signature Settings screen, click New to create a new signature. Step 3: open your html using your web browser (Chrome, Firefox, Internet Explorer, etc). Then select the "file" radio button and then the Browse button to navigate to where you saved your Email Signature Rescue downloaded html file. IMPORTANT! While you are browsing for your file, please make sure that you can open .html/.htm files by selecting this option from the dropdown box, otherwise you will not be able to see your html file when browsing. If you would like to append your signature on all email messages you create please tick the box at the top "Add signature to all outgoing messages". If you would like to append your signature to all replies and forwards un-tick the box "Don't add signatures to Replies and Forwards". If you would like to only add your signature on some occasions, do not tick any boxes. 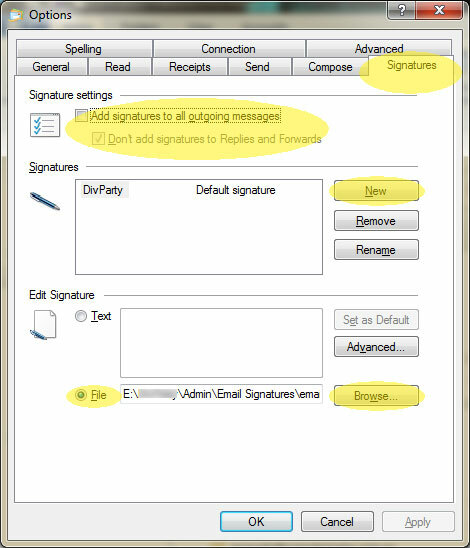 Then when you create an email message, you can add your signature by pressing the "Signature" button in the toolbar and selecting the appropriate signature. Save the settings and you're done!